*This post is sponsored by Lava Soap. All opinions are 100% our own. I love unique pieces. It’s just one of the many reasons I like to shop at thrift stores and go junkin. I’m not big on run of the mill, everyone has it, items. 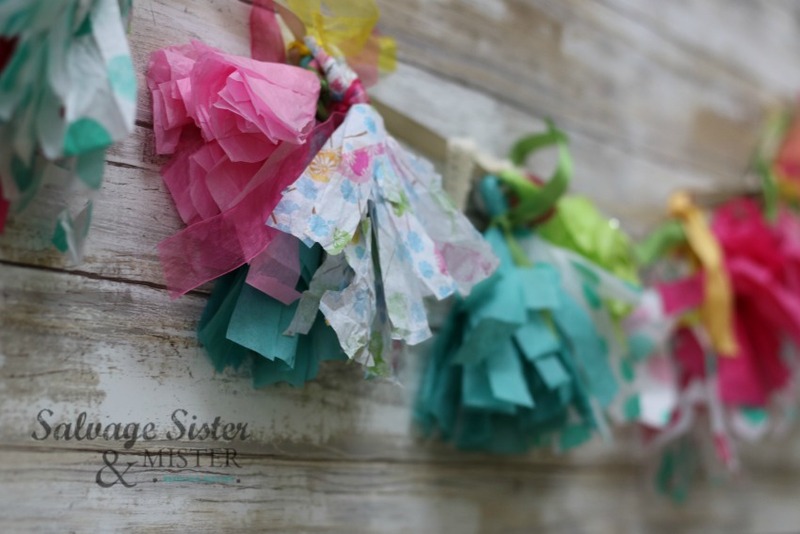 If you have been around here for a while, you may know that I have been doing lots of projects using the collection of tissue paper, like these. 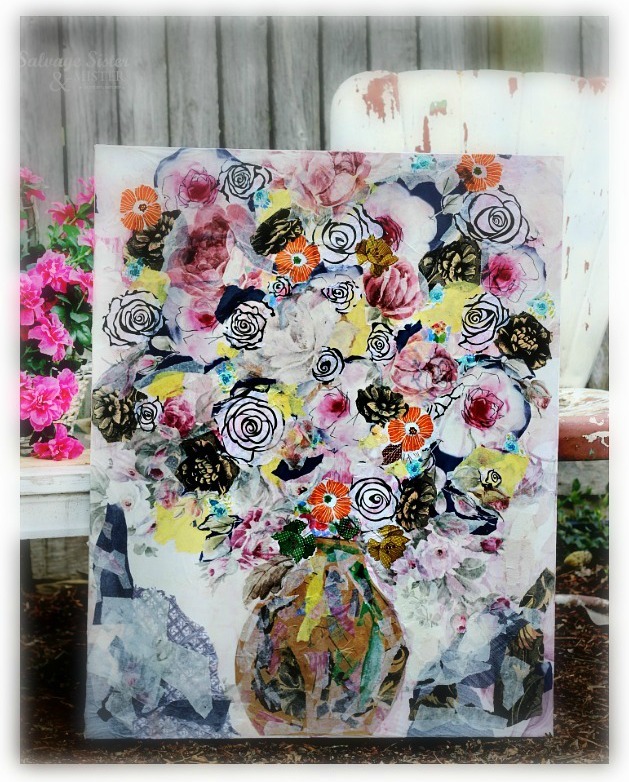 Not long ago, on our Facebook page, we shared a person making art from fabric scraps. That got me thinking about using tissue paper in the same fashion. *We do use affiliate links to show the same or similar items used. You can read our full disclosure policy here. Lava® Soap, Click here to find Lava at a Walmart near you. You can also download a money-saving coupon for your next shopping trip. First, let me say that I will be sharing HOW TO steps. The artistic part is completely up to you. Decide on your design. Sure you can make adjustments as you go, but unless art is your chosen profession, I have found it’s good to have an idea of what you are going for. Yes, it will ebb and flow, but it’s good to have a starting point. 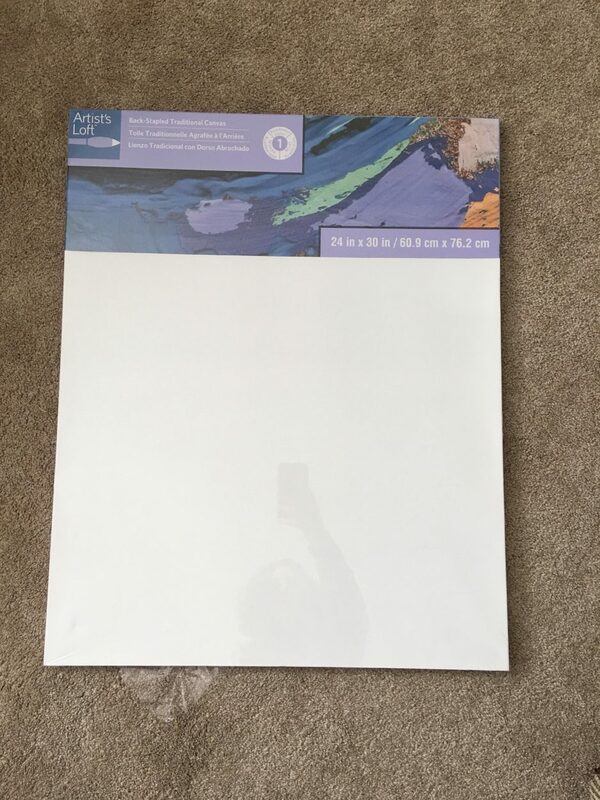 Now, lay your canvas on a flat surface. 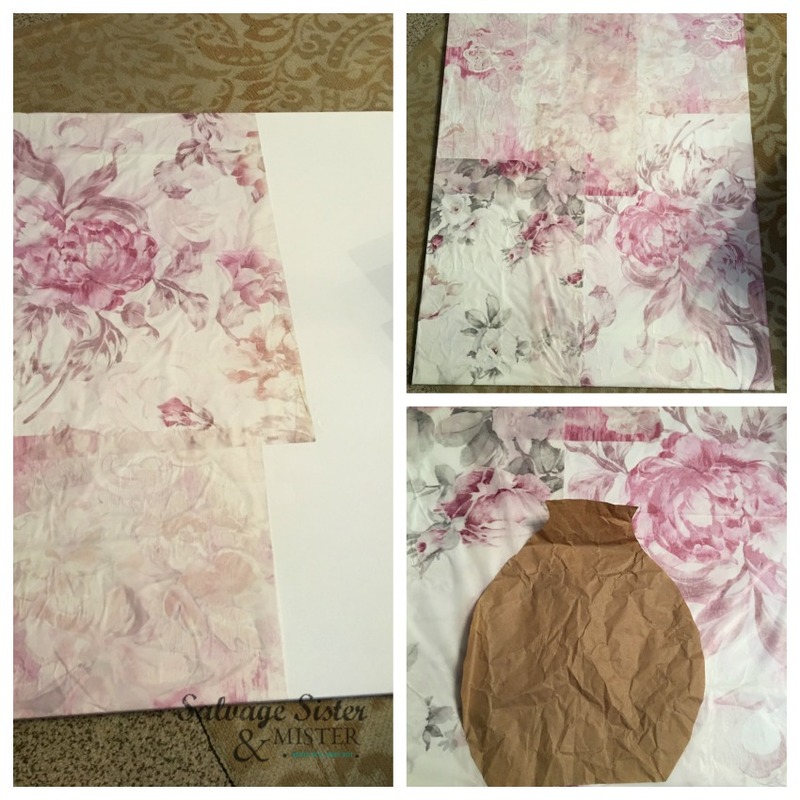 Decide on the background you want and apply your tissue paper using a foam brush and Modge Podge. You will want the entire canvas covered. Think of your design in layers. What will be the largest items or in the background? Middle? Smallest or foreground? Next, cut out or tear your pieces (I tore most). It this case it was a vase and then some large flowers. It doesn’t take long for the Modge Podge to dry so you can do a layer and let it dry and start another if you like. 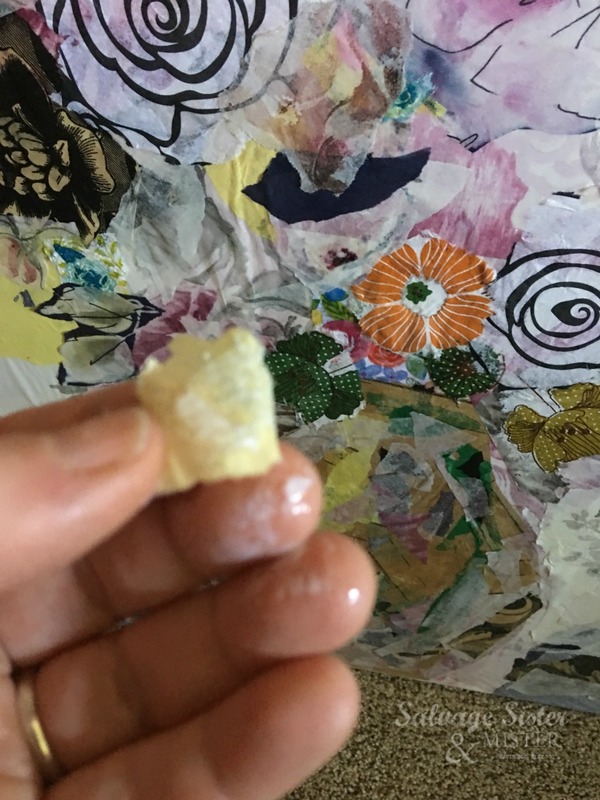 Keep applying layers until your piece is finished. 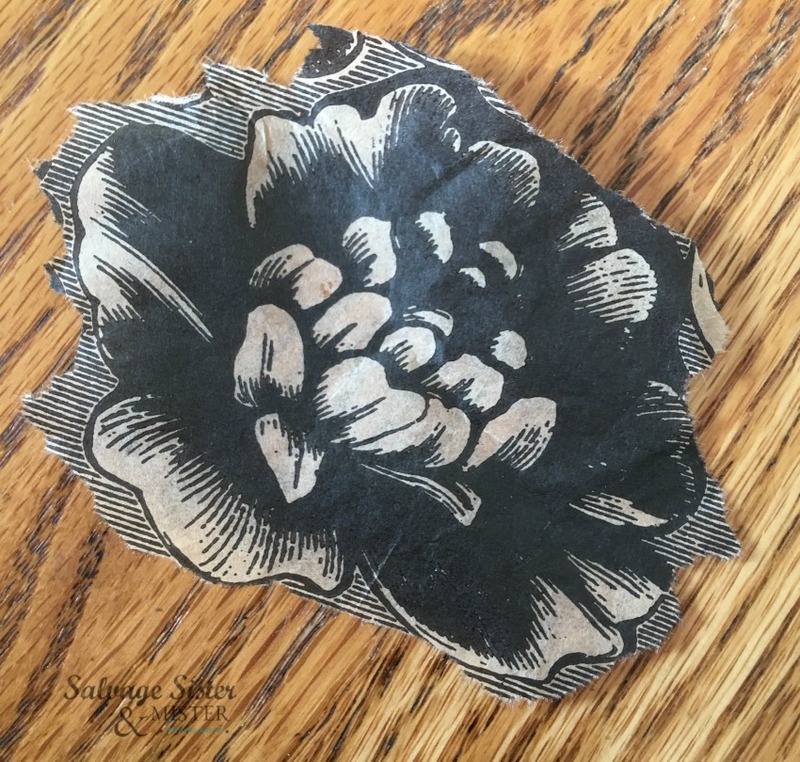 CHECK FOR CHANGES: If you find that you don’t like a section/piece, carefully use an Exacto knife to remove that section and apply new pieces to cover that area. Once it’s all complete, you can apply a top coat of Modge Podge to cover it. Finally, since this is a creative process, the build-up of product on your fingers (and nails) will be a lot. 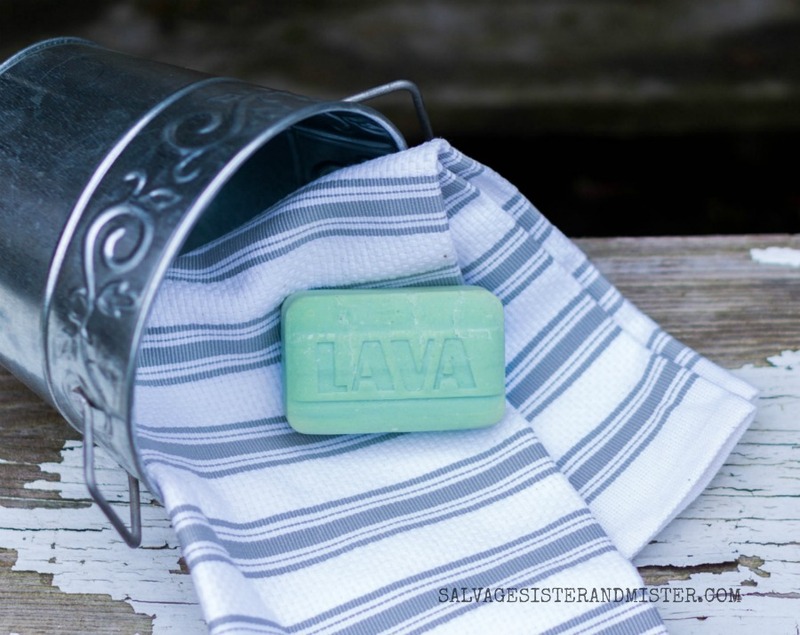 I have found it easier to use Lava soap since it is designed to clean dirt, grease, oil, paint, and adhesives with natural pumice (mild abrasive). Plus, that ends up using less water trying to remove whatever I get on my hands. 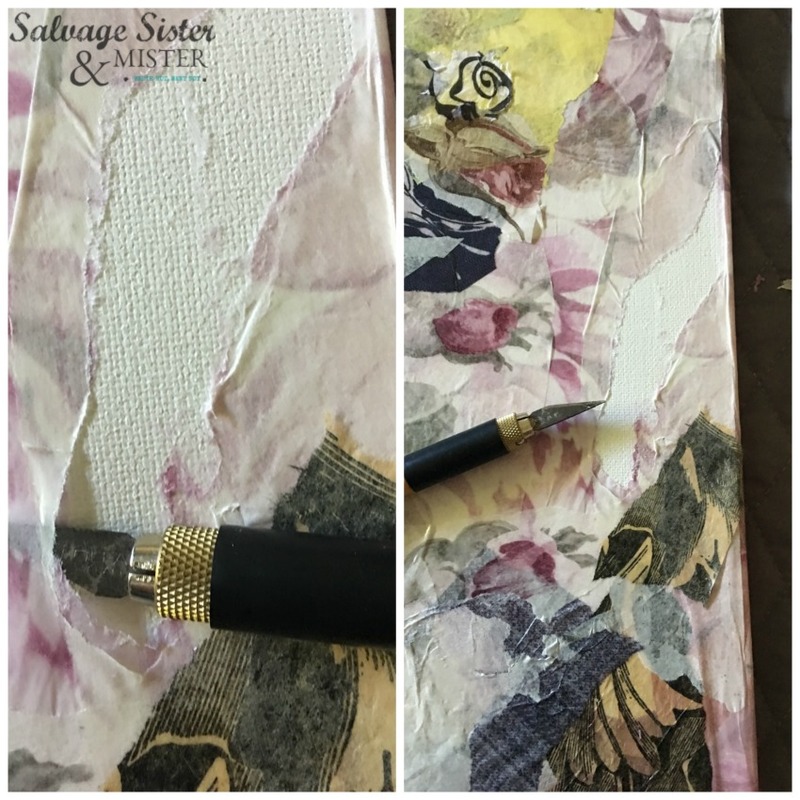 NOTES – You will want to take some breaks to step back and look at your project to see if it’s looking balanced and what to do next. Don’t get too crazy though. There always seems to be something to do or change in art. At some point, you have to just say it’s finished. Now, don’t forget to visit the Lava Soap Facebook page to learn more about this amazing pumice product and all the ways it removes grease, grime, and other substances from the skin which every DIY’er needs, especially me, as you can see here. Oh my!!! This is amazing Deborah!!! 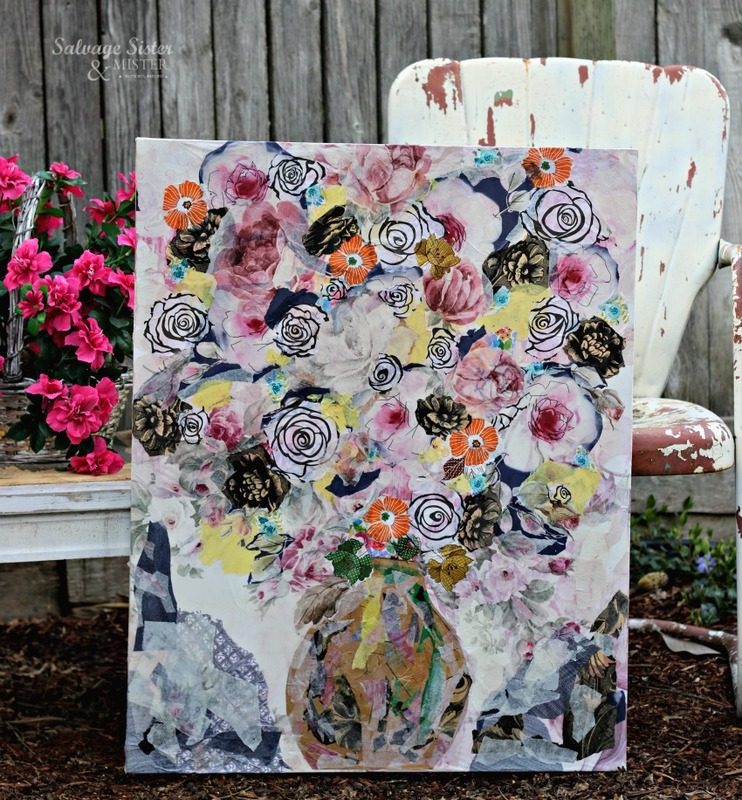 I love how you have layered the tissue paper to make it an absolute work of art!! SO clever! Thank you Sam…it was fun, and messy…lol. This is such a gorgeous picture. I’ve been thinking about doing a tissue picture myself and seeing how lovely yours is has inspired me to get on with it. Thank you! You should totally do it! 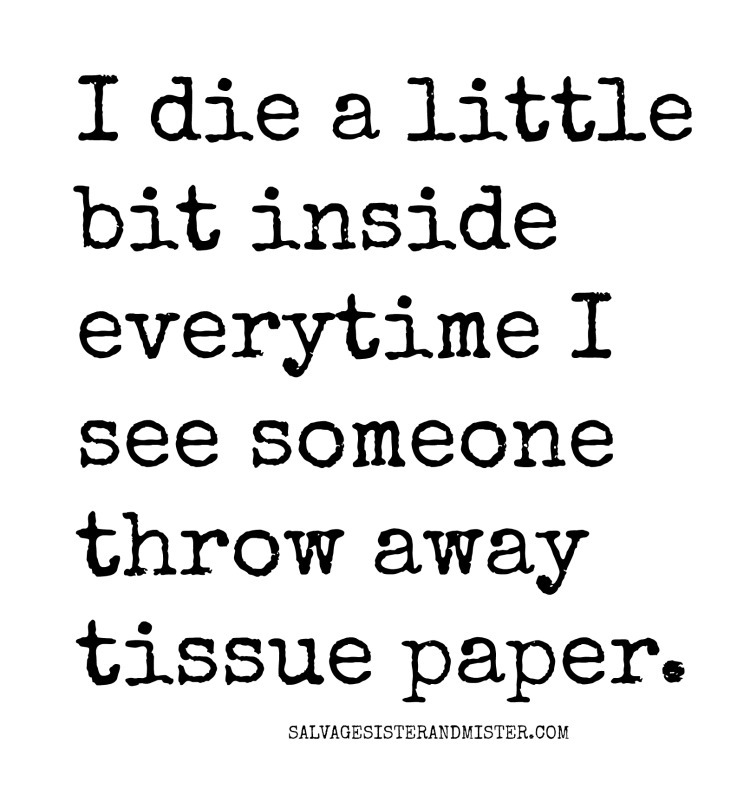 Your tissue art is gorgeous. 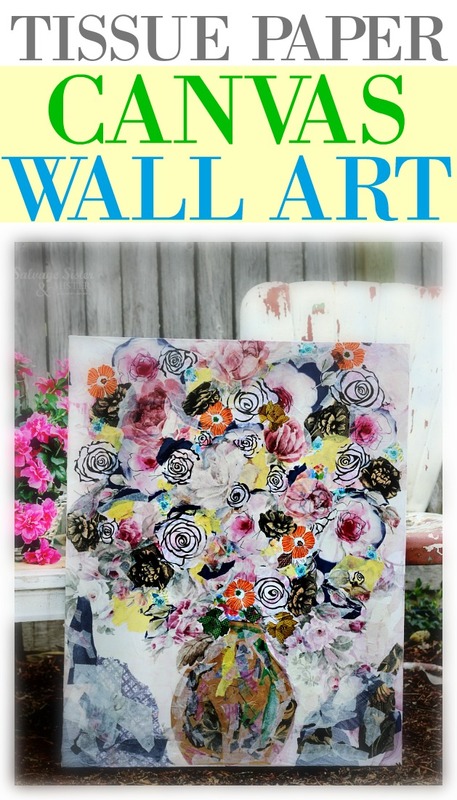 I am going to try it, even though I am artistically challenged! THank You Catherine. You can do it! It’s all in what comes to your mind. Thank you Michelle! It was fun to do. I hope you do try it. Wow this is a work of art. Love it. This is so cool, clever and quite unique! Love it!